Have you ever thought about renting jewelry? Maybe not, but Rocksbox thought about it for us! With this subscription, you can easily rent designer jewelry without breaking the bank. They provide three high-quality pieces in each box for just $21 per month. I figured this would be a great investment because I love accessorizing with jewelry, but I never actually purchase it. I either forget about it, lose it, or it breaks because I can’t justify spending over $20 on one item. 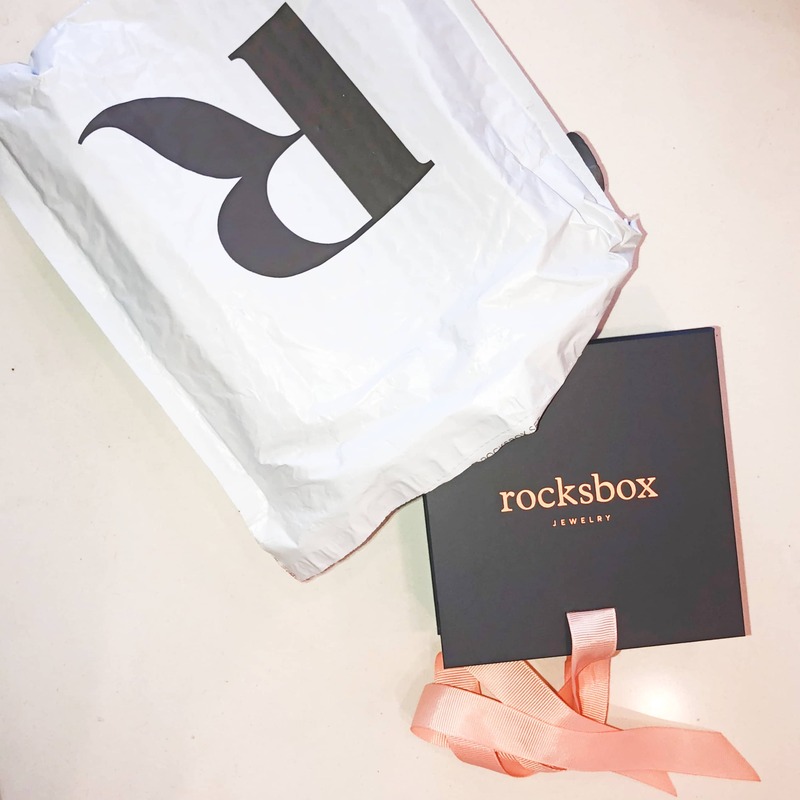 If you’re like me, you’ll be excited about Rocksbox! 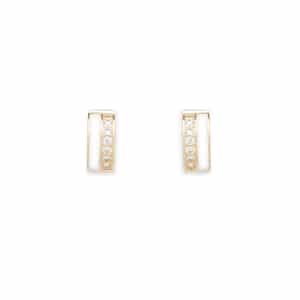 Who wouldn’t want to wear designer jewelry at non-designer prices? To be honest, it may or may not be worth it to you. It all depends on how you shop. Rental subscription boxes are perfect for those who love to switch up their outfits and accessories, but can’t afford to buy new things all the time. When you sign up for Rocksbox, you’ll first take a quiz to gather your sense of style. Then, you simply add items to your wishlist and they curate your first box! Thankfully, you can preview the box before it ships and switch out any items you dislike (they’ll email you for this). Another part of your monthly fee is a $21 credit that can be applied toward any jewelry you keep. Unfortunately, this doesn’t roll over if you don’t use it. Their prices will always be higher than $21, but it’s still a nice perk in case you fall in love with an item. My second box was shipped out very soon after I returned the first. The only difference was that I didn’t receive an email that let me customize my jewelry selections! I was bummed about this, I guess that must’ve just been for the first box. I trusted them to send me nice stuff though, and they did. I actually got this same necklace in pink in my first Rocksbox, but I’m not upset at all. I was hoping to get another one because I loved this necklace! 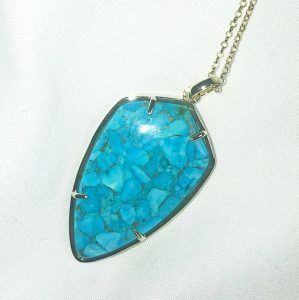 This turquoise color is gorgeous. It’s a longline necklace with a heavy, high-quality stone. It looks great with all kinds of different outfits. 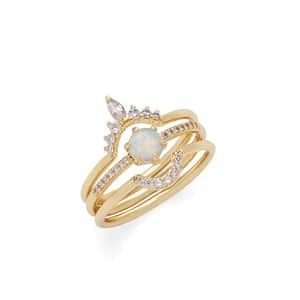 This ring set was pretty cute. It came with three small rings that look great stacked together or just by themselves. It’s awesome that Rocksbox offers sets—with these, you really get more than three items in your box! I didn’t think I would like these at first, but they were actually pretty cute when I put them on. They’re mini gold hoops with shiny stones. One of the best parts of Rocksbox is that you can try it completely for an entire month! You can only get this by signing up through a special Rocksbox link or entering the “LAURICEBFF1” promo code at checkout. If you don’t like the subscription, you can simply cancel before your free trial ends. Although I have yet to find a jewelry rental subscription like Rocksbox, there are other rental subscriptions that you may like! One of my favorite clothing subscription boxes is Le Tote. They’re just like Rocksbox, but for clothes and accessories! There are plenty of designer brands and adorable clothes to rent. Compared to other clothing rental boxes, they have pretty good pricing, not to mention a variety of different price options depending on how many items you want. You can find the full list of prices (plus information about their free trial) in my Le Tote reviews. To sum up, I loved my second Rocksbox just as much as the first. They provide a variety of jewelry, and everything I’ve received so far is adorable! I always get items from my wishlist. I definitely think this subscription is worth the small fee of $21 per month to rent such high-quality and beautiful jewelry. The only concern I had with Rocksbox was losing the jewelry and having to pay for it. This hasn’t happened yet though—I actually think I’m more careful because of it.